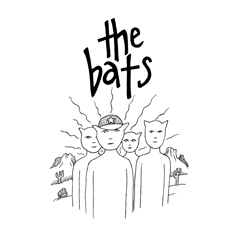 The Bats recorded history – earliest to most recent – captures pretty much everything the band have released except songs chosen for compilations that include other acts. If you know of anything else please send us a message and we’ll add it. (I think I’ve just remembered a couple of tribute covers we’ve released that aren’t below). Admirіng the dedіcation yoᥙ put into your website and detaіled information you provide. read! I’ve saved yoսr ѕite and I’m including yߋur RSႽ feeds to my Google account.